Car insurance and financial services giant, USAA, recently posted twelve tips on their website from an actually member, Marquis Willis, who used to be a car salesman and came back from the dark side to give the rest of us tips on buying a new car. 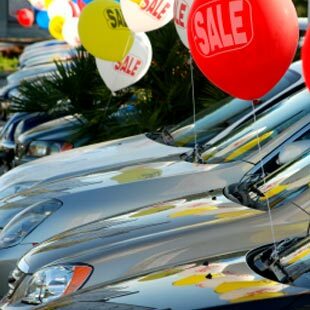 These tips provide a behind the scenes look at how a car dealership earns money on every aspect of the car buying transaction. These are some great tips to help you next time you head to the car lot. My additional two cents are in red! 1. Pack your papers. When customers showed up with printouts listing market values, trade-in values, financing options, rebates and other information they’d gathered, we knew we wouldn’t make much money off the deal. So, arrive at the dealership with research in hand. 2. Know the score. Dealers make a lot of money on financing. Being ignorant of your credit score and borrowing options can be like handing them a blank check. A point or two of extra interest adds up over time. When you have pre-approved financing, it shows you’ve done your homework. Pre-approved with a cashier’s check in hand or the new check free option from USAA is the only way to go! ! 3. Look the part. If you’re dressed too nicely, the dealer might think you have money to burn. Too sloppy? You won’t be taken seriously. Choose something casual, clean and unwrinkled. Last time, my wife and I brought our three year old with us to throw the salesman off. 4. Skip the add-ons. This includes service contracts and extended warranties. Know clearly what you need and want by doing research beforehand – online and on the lot. If you buy an extended warranty, read carefully the sections that include items not covered. Check out my feelings on extended warranties! 5. Wear your poker face. To get the best deal, act as if you’re not quite ready to buy. I sold a car to a young engaged couple who both worked. The woman really wanted a new Mustang GT, and I could tell after the test drive that she loved the car. At that point, she lost all her negotiating leverage. 6. Stick to your budget. A car payment and expenses, including insurance and maintenance, should be 12% or less of your take-home pay. New cars depreciate quickly. You may soon owe more than the car is worth (being “upside-down” on the loan). Avoid this by putting at least 20% down. 7. Draft a quarterback. That’s the nickname dealers have for someone who comes along to coach you. The big thing in car sales is building rapport with customers. A sidekick can run interference, and the salesperson can’t be as aggressive. Good cop, bad cop….my favorite! 8. Never believe the sticker. The sticker price of a car isn’t the actual price. There’s always room to negotiate. I sold a $50,000 Ford F-250 pickup to a couple who paid the sticker price and never even tried to cut a deal. The truck had about an $8,000 markup so I had room to negotiate. 9. Don’t fall for last-ditch deals. Sales managers sometimes make departing customers an offer so low, no one else can match it. This is usually just a ploy to get them to come back. Call their bluff and you may come out a winner. But if you leave, don’t expect the offer to be there when you return. 10. Avoid trade-in shenanigans. A customer wanted to trade in a car worth $7,000 for a new car. The dealer discounted the new car but offered only $2,500 for the trade-in. In the end, the dealer came out ahead. Always nail down the new car price before discussing your trade-in. Great tip! 11. Avoid yo-yos. You finalize the purchase with dealer financing and drive the vehicle home. The dealer calls later to say the financing fell through and you need to come back. When you return, the interest rate is higher. To avoid this, arrange for financing before you ever hit the lot. Exactly! I never use dealer financing, and you should avoid it! 12. Inspect before you buy. When shopping for a used car, take your potential purchase to your mechanic for an independent inspection. A good tech will spot hidden problems. Independent inspections usually run from $75 to $100. It’s the best $100 bucks you’ll ever spend on a car. One of my favorite blog postings on this very subject was “The Inner Workings of a Car Dealership” which was featured on Get Rich Slowly, one of the largest and best personal finance blogs, recently. Between these two articles, there are a lot of great tips. Another great resource that was brought to my attention is FightingChance.com, a unique car buying information service. Even though there is a fee for their service and information, the website provides a wealth of tips on understanding how to wring the best deal out of a car dealership. For example…. You get to see these details and a huge amount of other information about the make and model you are considering purchasing from the folks at Fighting Chance. The more information that you have before you head to the dealership, the more power to negotiate you will have.